Counsel for lawmaker Lau Siu-lai told the High Court on Thursday that her “slow-motion” oath in the Legislative Council was an attempt at highlighting the hypocrisy of certain lawmakers, and was not a refusal to take it. Lau and three other pro-democracy lawmakers are facing a government judicial review to oust them from their seats, based on the unorthodox ways in which they took their oaths of allegiance. Two other pro-independence lawmakers have already been disqualified since November. 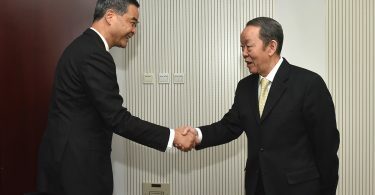 Senior Counsel Johnny Mok, for Chief Executive Leung Chun-ying and Secretary for Justice Rimsky Yuen, argued on Wednesday – the first day of the hearing – that the four lawmakers had violated the Oaths and Declarations Ordinance. The four lawmakers are Lau, Leung Kwok-hung, Nathan Law and Edward Yiu. According to Citizen News, Mok told the court that Lau had been insincere and rendered the oath meaningless. Mok claimed she later explained in a Facebook post that she had refused to take the oath. 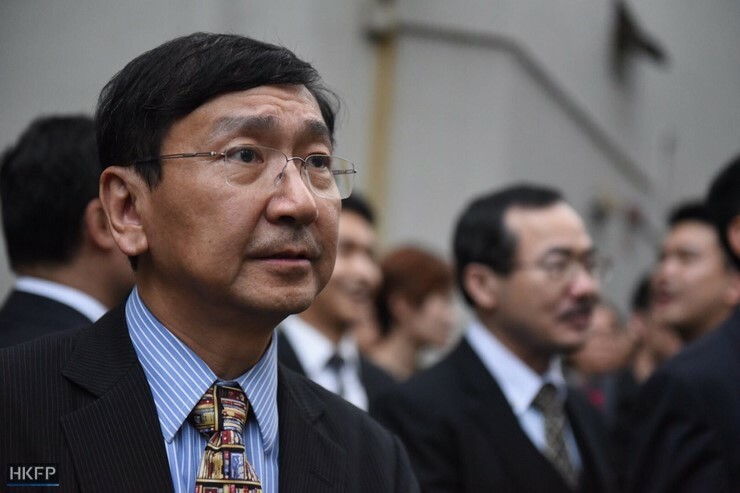 On Thursday, Professor Johannes Chan SC for Lau argued that her slow-motion oath was a way of demonstrating the hypocrisy of certain lawmakers, even if they read out their oaths fluently. Chan added that Section 21 of the ordinance, which proscribes disqualification as a consequence of non-compliance, was aimed at protecting the election and not ousting lawmakers from their seats. He said it was a way to “honour but not frustrate” public opinion and the results of elections. Johannes Chan. File photo: Catherine Lai/HKFP. Stand News reported that Lau broke into tears after Chan made his arguments. On Wednesday, Senior Counsel Martin Lee for lawmaker Leung said that the failure to take an oath did not imply neglect or refusal to take an oath. 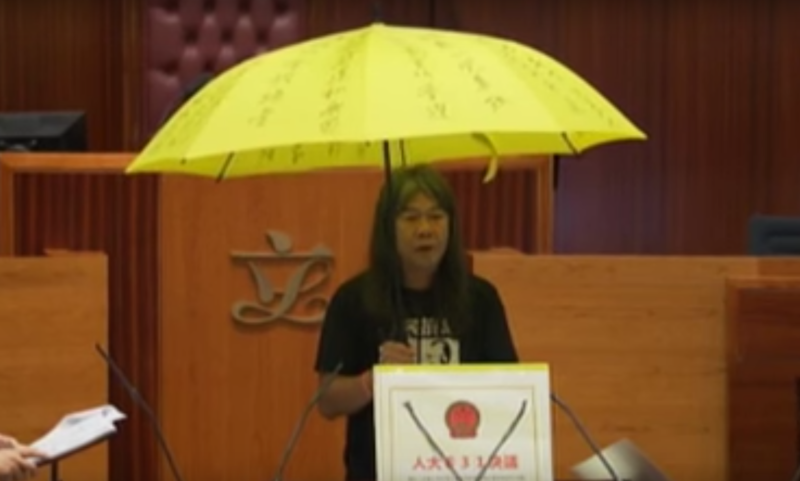 Arguing for the government, Mok had said that Leung aimed to destroy the solemnity of the ceremony by shouting slogans, wearing a T-shirt with political slogans written on it and holding a yellow umbrella – a symbol of the 2014 pro-democracy Occupy protests – while taking his oath. 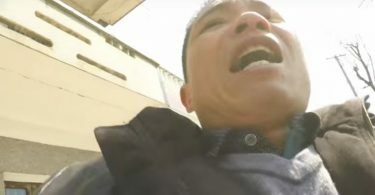 In response, Lee argued that Leung only shouted slogans before and after taking the oath, while the umbrella did not affect the taking of the oath. He added that “solemnity” lacks a clear definition, as the Legislative Council Commission previously allowed Leung to wear T-shirts. Furthermore, British political parties also wear remembrance poppies, coloured ties or other items with political messages. Last November, China’s top legislature handed down an interpretation of Hong Kong’s Basic Law – the city’s mini-constitution – requiring that oaths must be taken solemnly and sincerely. The interpretation came immediately prior to the High Court ruling for the government’s successful bid to oust pro-independence lawmakers Yau Wai-ching and Baggio Leung. The Court of Appeal eventually ruled that the interpretation had a retrospective effect. 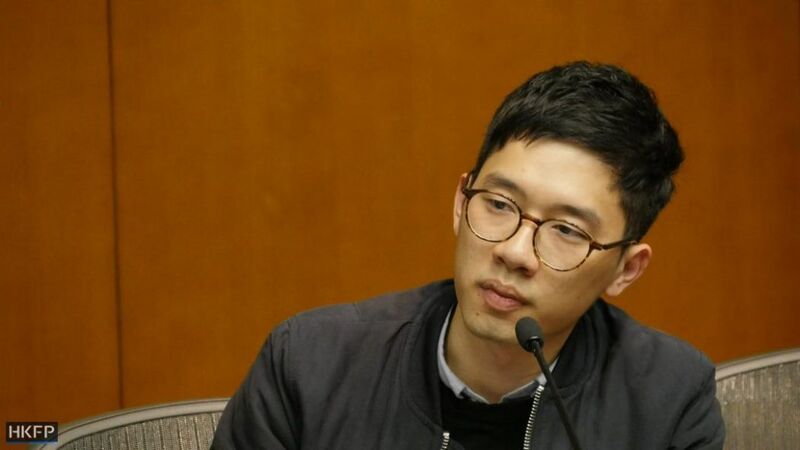 However, Lee argued on Wednesday that Hong Kong’s Oaths and Declarations Ordinance must be amended to include the requirements of solemnity and sincerity, before any lawmakers could be disqualified as a result of it. Senior Counsel Philip Dykes for Law, who quoted Gandhi before taking his oath, added that other legislators had also made similar proclamations. Dykes cited the example of pro-democracy lawmaker Helena Wong, who called for an investigation into the contamination of water with lead in public housing after her oath. Nathan Law Kwun-chung. File photo: HKFP/Catherine Lai. Mr Justice Thomas Au of the High Court will continue the hearing on Friday.